I’ve been writing a little bit about Autofac and why it’s rad, but today I want to talk about Autofac modules. In my previous post on this, I talk about one of drawbacks to the constructor dependency pattern is that at some point in your application, generally in the entry point, you get allllll of this spaghetti code that is the setup for your code base. Essentially, we’ve balanced having nice clean testable classes with having a really messy spot in the code. But it’s only ONE spot and the rest of your code is nice. So it’s a decent trade off. But we can do better than that, can’t we? We can use Autofac modules to organize some of the code that we have in our entry point into logical groupings. So an Autofac module is an implementation of a class that registers types to our dependency container to be resolved at a later time. You could do this all in one big module, but like many things in programming, having some giant monolothic thing that does ALLLL the work usually isn’t the best. Let’s create a simple application as an example. I’ll describe it in words, and then I’ll toss up some code to show a simple representation if it. We’ll assume we’re using dependencies passed as interfaces via constructors as one of our best practices, which makes this conversion much easier! So our app will have a main window with a main content area and a header area. These will be represented by three objects. Our application will also have a logger instance that we pass around so classes that need logging abilities can take an ILogger in their constructor. But our logger will have some simple configuration that we need to do before we use it. Before getting comfortable with Autofac, my initial first step would be to logically group things in the main method. In this particular case, we have something simple and surprise… it’s all grouped. But my next step would usually be to pull these things out into their own methods. I do this because it helps me identify if my groupings make sense and where my dependencies are. Let’s try it! Alright cool. So yes, this is a bit of extra code compared to the initial example, but I promise you grouping these things out into separate methods as a starting point when you have a LOT of initialization logic will help a ton. Once they are in methods, you can pull them out into their own classes. Refactoring 101 for single responsibility principle going on here 😉 BUT, we’re interested in Autofac. So what’s the next step? We have two logical groupings going on here in our example. One is logging and the other is for the GUI. So we can actually go ahead and make two Autofac modules that do this work for us. And those are our two logical groupings for modules! So, how do we use this and what does our Main() method look like now? I’ll demonstrate with one way that works for a couple modules, but I want to follow up with another post that talks about dynamically loading modules. If you can imagine this scenario blown out across MANY modules, you’ll understand why it might be helpful. The idea for our Main() method is that we just want to resolve the one main dependency manually and let Autofac do the rest. So in this case, it’s our MainWindow. Etc… Just add more modules! So what’s next? Well, if you keep building out your app you might notice you have tons of modules now. Your single GUI module might have to get broken out into modules for certain parts of the GUI, for example, just to keep them more manageable. Maybe you want plugins to extend the application dynamically, which is really powerful! Our method for registering modules just isn’t really extensible at that point, but it’s very explicit. I’ll be sharing some information about automatic Autofac module discovery and registration next! For the first entry in the progress pulse series I’ll touch on some things from the past week or so. There’s been a lot of smaller things being churned in the code base, some of them interesting, and others less interesting so I want to highlight a few. As a side note, it’s really cool to see that the layout and architecture is allowing for features to be added pretty easily, so I’ll dive a bit deeper on that. Overall, I’m pretty happy with how things are going. Unity3D – Don’t Fight It! I heard from a colleague before that Unity3D does some things you might not like, but don’t try to fight it, just go with it. To me, that’s a challenge. If I’m going to be spending time coding in something I want it to be with an API that I enjoy. I don’t want to spend time fighting it. An example of this is how I played with the stitching pattern to make my Autofac life easier with Unity3D behaviours. However, I met my match recently. At work, we were doing an internal hackathon where we could work on projects of our choosing over a 24 hour period, and they didn’t have to be related to work at all. It’s a great way to collaborate with your peers and learn new things. I worked on Macerus and ProjectXyz. I was reaching a point where I had enough small seemingly corner-case bugs switching scenes and resetting things that I decided it was dragging my productivity down. It wasn’t exciting work, but I had to do something about it. After debugging some console logs (I still have to figure out how to get visual studio properly attached for debugging… Maybe I’ll write an article on that when I figure it out?) I noticed I had a scenario that could only happen if one of my objects was running some work at the same time… as itself? Which shouldn’t happen. Basically, I had caught a scenario where my asynchronous code was running two instances of worker threads and it was a scenario in my game that should never occur. I tried putting in task cancellation and waiting into my unity game. I managed to hang the main thread on scene switching and application close. No dice. I spent a few hours trying to play around with a paradigm here where I could make my ProjectXyz game engine object run asynchronously within Unity and not be a huge headache. I needed to stop fighting it though. There was an easier solution. I could make a synchronous and asynchronous API to my game engine. 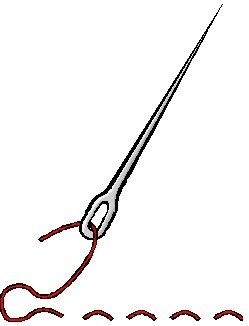 If you have a game where you want the engine on a thread, call it Async(). 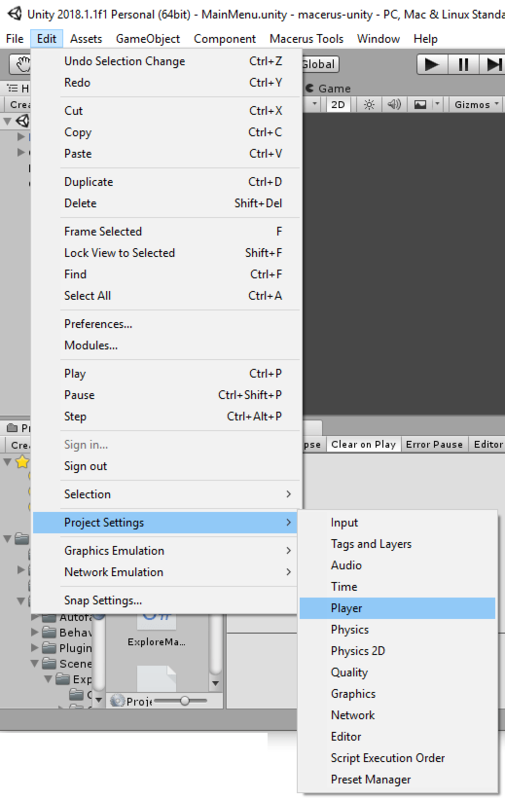 Unity3D already has its own game engine loop. Why re-invent it? So in Unity3D, I can simply just call the synchronous version of the game engine’s API. With this little switch, suddenly I fixed about 3 or 4 bugs. I had to stop fighting the synchronous pattern with my asynchronous code. The lesson? Sometimes you can just come up with a simple solution that’s an alternative instead of hammering away trying to fix a problem you created yourself. This one for me has been one of my biggest nightmares so far. 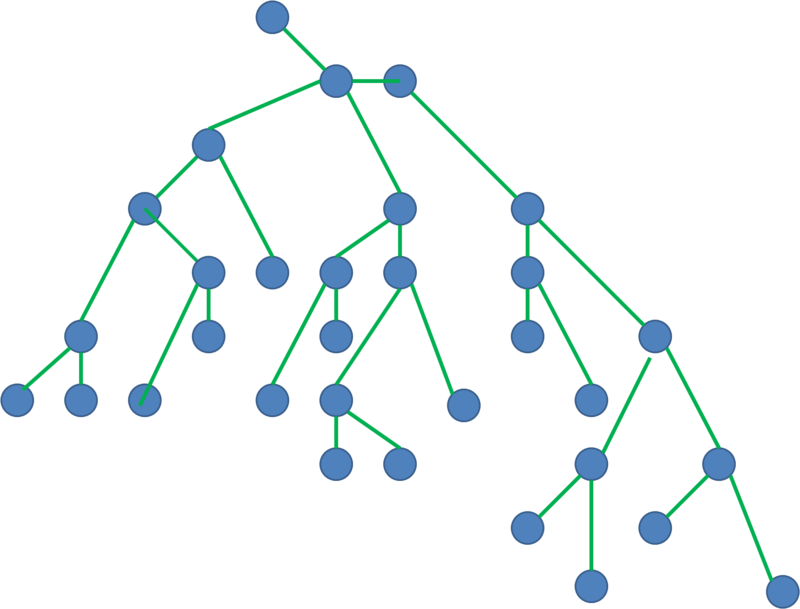 ProjectXyz.sln: The solution that contains all of my back-end shared game framework code. This is the really generic stuff I’m trying to build up so that I can build other games with generic pieces if I wanted to. Macerus.sln: The game-specific business logic for my RPG built using ProjectXyz as a dependency. Strictly business logic though. 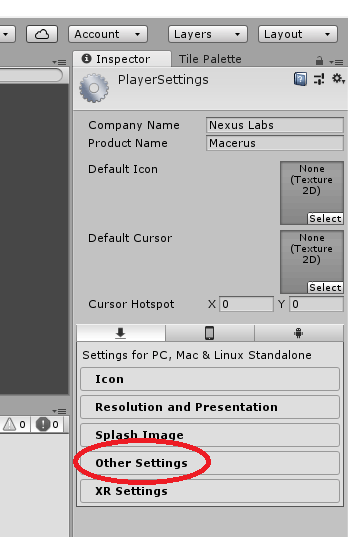 Macerus Unity: The project that Unity3D creates. This contains presentation layer code built on Macerus.sln outputs and ProjectXyz.sln outputs. I currently don’t have my builds set up to create nuget packages. This would probably be an awesome route to go, but I also think it might result in a ton of churn right now too as the different pieces are constantly seeing churn. It’s probably something I’ll revisit as things harden, but for now it seems like too much effort given the trade off. I can run the project with new code! This is a little tedious, sure. But it hasn’t been awful. The problem? Visual studio can only seem to clean what it has knowledge about. I’ve been refactoring and renaming assemblies to better fit the structure I want. A side note worth mentioning is that MUCH of my code is pluggable… The framework is very light and most things are injected via Autofac from enumerating plugin modules. One of the side effects is that downstream dependencies of ProjectXyz.sln (i.e. Macerus.sln) have build outputs that include some of the old DLLs prior to the rename. And now… Visual Studio doesn’t seem to want to clean then up on build. So what happens? Unity3D starts automatically referencing these orphaned dlls and the auto-plugin loading is having some crazy behaviour. I’ve been seeing APIs show up that haven’t existed for weeks because some stale DLL is now showing up after an update to the dependencies. This kind of thing was chewing up HOURS of my debugging time. Not going to fly. I decided to expand my menu a bit more. I now call MSBuild.exe on my dependency solutions prior to copying over dependencies. This removes two completely manual steps from the process I also purged my local bin directories. Now when I encounter this problem of orphaned DLLs, my single click to update all my content can let me churn iterations faster, and shorten my debugging time. Unfortunately still not an ultimate solution to the orphaned dependencies lingering around, but it’s better. The lesson learned here was that sometimes you don’t need THE solution to your problem, but if you can make temporarily fixing it or troubleshooting it easier then it might be good enough to move forward for now. Some of these will be technical and others much less. A bit of progress pulse allows me an outlet to talk about interesting things I’m doing and maybe sheds some light on some areas (game development or just general programming) that you might be interested. Where Can I Find Entries In This Series? I’ll try to organize these Progress Pulse entries into a specific category on my blog. Ideally that way you can navigate them pretty easily. You can click the link below and you should get all the entries in this series! Why Consider Using Autofac With Unity3D? I think using a dependency injection framework is really valuable when you’re building a complex application, and in my opinion, a game built in Unity is a great example of this. Using Autofac with Unity3D doesn’t need to be a special case. I wrote a primer for using Autofac, and in it I discuss reasons why it’s valuable and some of the reasons you’d consider switching to using a dependency container framework. Now it doesn’t need to be Autofac, but I love the API and the usability, so that’s my weapon of choice. 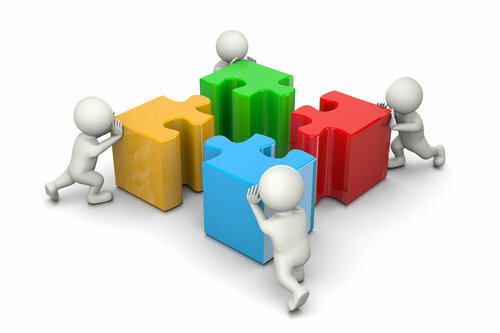 Building a game can result in many complex systems working together. Not only that, if you intend to build many games it’s a great opportunity to refactor code into different libraries for re-usability. If we’re practicing writing good code using constructor dependency passing with interfaces, then things really start to line up in favour of using a dependency injection framework. At the end of my autofac primer article, I provided a link to the Nuget package for Autofac. You’ll notice that there’s a version dependency for .NET 4.5, so if you’re not sure how to get Unity3D working with .NET 4.5, you’ll want to check this other article of mine. It’s very simple, so don’t worry! Unity3D, at the time of writing this and using version 2018.1.1f1, there’s no native Nuget package support. I haven’t spent too much time investigating alternatives, but not to worry. I’ll explain a quick work around. The TL;DR is that we need the binaries from the Nuget package to be loaded up by Unity3D and we’ll miss out on the Nuget-y-ness for now. Not a huge deal since we’ll still have Autofac support! And the namespace should resolve! If not, sometimes this takes Unity3D a refresh operation to regenerate the project file on disc, so if you switch to Unity3D again and it starts doing some processing, switching back to Visual Studio might resolve this. Up until this point, we’ve proven we can reference Autofac. I’m not going to explain all the ins and outs for how you’ll want to organize your Autofac initialization in this post, but we can walk through a quick example! Inside this start method, let’s try doing something VERY simple to prove Autofac works! Log out a message that says Test! And voila! It’s simple, but it should demonstrate that Autofac is working! This is a very contrived example of using Autofac with Unity3D. It proves that the code can be run, but it doesn’t do too much that’s useful. There are going to be many considerations you’ll need to make for how you want to organize your dependencies, register your classes/interfaces, and so on. I’ll continue to add into this Unity3D series of posts, but let me know what else you’d like to know about using Autofac with Unity3D! I’d be happy to try and answer, or even create an article to help explain. I’ve written before about IoC and dependency injection, but these are older posts and my perspective and experience with these topics has fortunately been growing. I think they’re incredibly important when you’re building complex systems, but the concepts can offer some benefits in all of your programming! When you get in the habit of practicing this kind of thing, you can get some pretty flexible code… for free. You can write implementations that don’t depend on other implementations… Just an API. So that’s all good and well… So what do we use Autofac for? So you’ve been writing code now using interfaces in your constructor parameters. You’ve got nice modular code using composition. You have unit tests. Things are great. There comes a point where you decide you need to break open a class in the depths of your system and provide it a new interface as part of the constructor. This is in line with the constructor parameter passing paradigm (nice alliteration, woo!) you’ve been using, so it feels good. You modify your constructor to take the new interface parameter. You change up your method to call this new interface’s API. You update your tests. It works! Now you need to make the rest of your application work though, and it turns out because this class is created so deep down in your system, you need to find a way to pass this new interface implementation allllllllll the way down. And suddenly, you find you need to break open 10 other classes to pass this interface into the constructor. It’s a simple change in that it’s the same change in 10 spots… But it’s 10 spots. And it’s tedious. And you got lucky because you own this code and you don’t need to worry about breaking the constructor API for other people. But it might be time to look into something like Autofac at this point because it can make this problem disappear for you. Autofac is awesome. The end. You’ll need to be careful that you don’t abuse the container though! It’s considered an anti-pattern to use the container to manually resolve dependencies across various areas of your application (generally this is referred to as the Service Locator (anti)Pattern, but people go back and forth on why it’s good or bad). The “proper” use case is to resolve your single entry point class in one spot, call the methods you need on your entry point class, and let Autofac do its magic to resolve all of your registered dependencies. 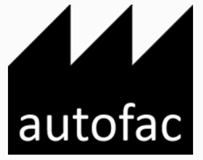 Where Can I Get Autofac? This is the easy part! You can use your Nuget package manager in Visual Studio to find the right package for your .NET framework dependency. Check it out at the Nuget Gallery! But I’d love to hear what you want to know more about! Comment and let me know, and I’ll see what I can do. I recently wrote that I wanted to start writing more Unity3D articles because I’m starting to pick up more Unity3D hobby work. It felt like a good opportunity to share some of my learnings so that anyone searching across the web might stumble upon this and get answers to the same problems I had. Unity3D as of 2018.1.1f1 (which is the version I’m currently using), still defaults to using .NET 3.5 as the framework version. Nothing wrong with that either. I’m sure there are reasons that they have for staying at that version, probably because of Mono and cross platform reasons if I were to guess, so I’m not complaining. 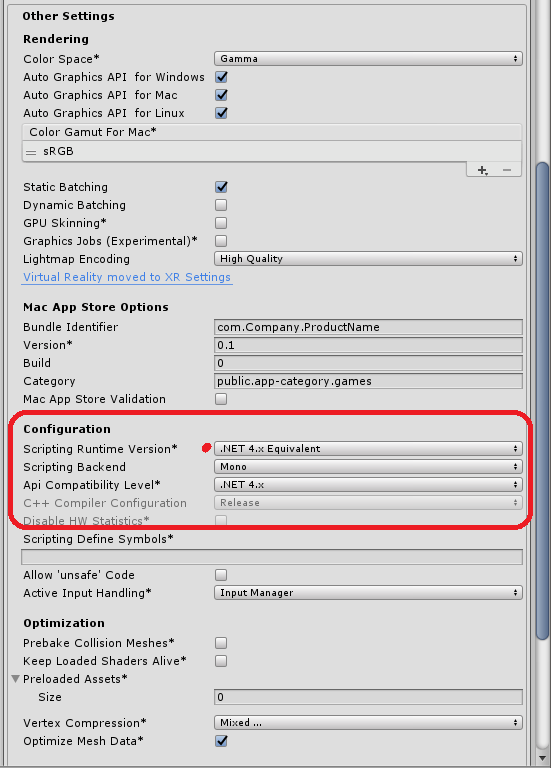 For reference, this setting in Unity3D is referred to as “Scripting Runtime Version”. So if you’re googling more about this later, that’s what Unity calls it. For the libraries I was building to use as a game framework, I was using .NET 4.6 and discovered I was going to have a challenge getting them working in Unity3D. Use the dropdown to pick which .NET framework version you’d like to use. This outlines what things are affected in different platforms and scenarios so YOU SHOULD READ IT to understand what will change. Hope that makes things a bit easier for you to get up and running with .NET 4.x assemblies in Unity3D!